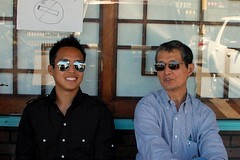 Ma Dang Gook Soo (869 S. Western Ave., Ste. 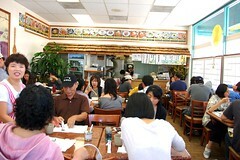 1, Los Angeles) serves Korean noodles. It's a small place, and chances are it'll be packed when you go. There are 26 items on the menu, which you may peruse while you wait, so you can order as soon as you sit down to a few plates of panchan. Below are dishes from two visits. 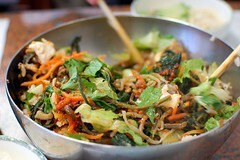 Kal gook soo (handmade knife-cut wheat flour noodles) is the specialty of the house. I love this chicken version ($7.85). This is comfort. 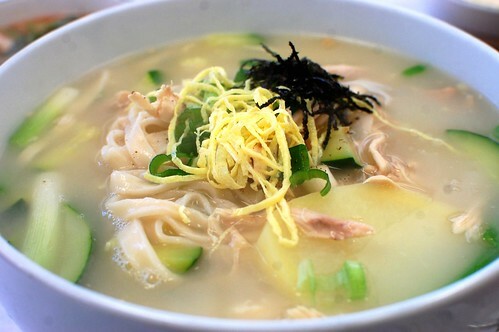 This is chicken noodle soup, Korean-style. Wondrous, chewy, happy noodles. Kimchee kal gook soo ($7.85). 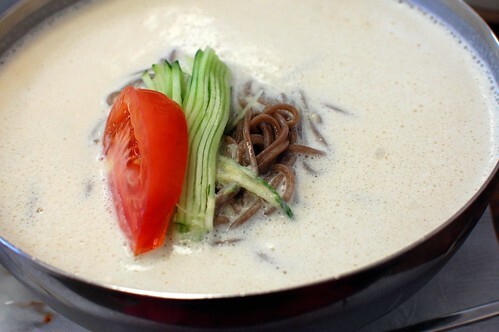 Buckwheat noodles in soybean milk ($8.25). Served cold. I think it's an acquired taste. Totally not my cup of tea. 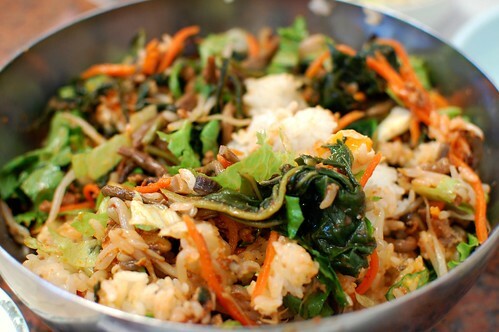 Mountain vegetables with rice and meat ($8.25). 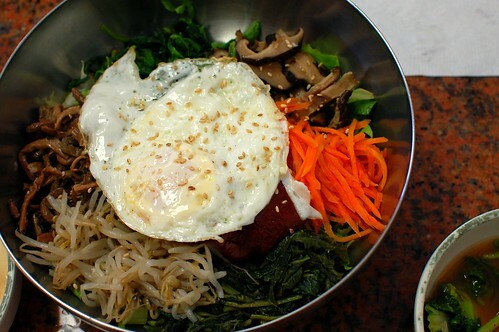 You may recognize this as bibimbap. We ordered it when we saw several other tables do so. Quite a nice version for a noodle house! Unexpected win! Same great chicken soup but with big fat dumplings in it. Yum. 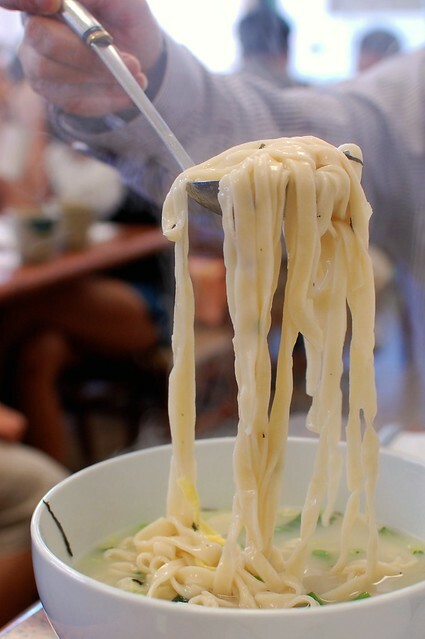 If you like noodles, you must visit. All the doughy items are fab. 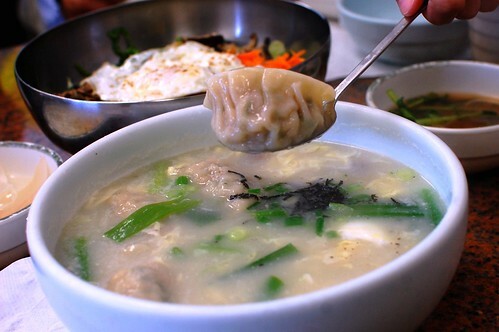 I would kill for a dumpling right now. yummmm!! 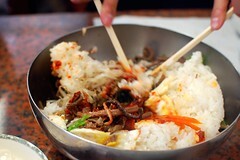 you have to try naegohyang in ktown; it is my absolute favorite for calgooksoo. their seafood pancake + kimchi dumplings are also deeelish. This place is legit. I agree with you on that soybean noodle soup thing, it's not my cup of team. Maybe us Taiwanese people don't appreciate it? 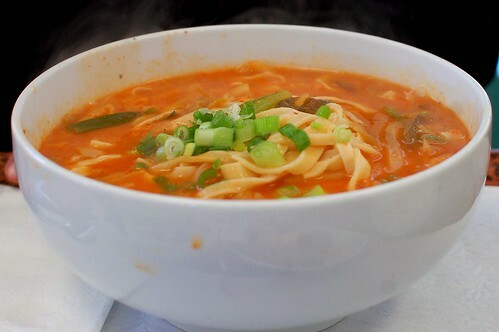 that chicken noodle soup looks incredible. the noodle shot is awesome, dude.